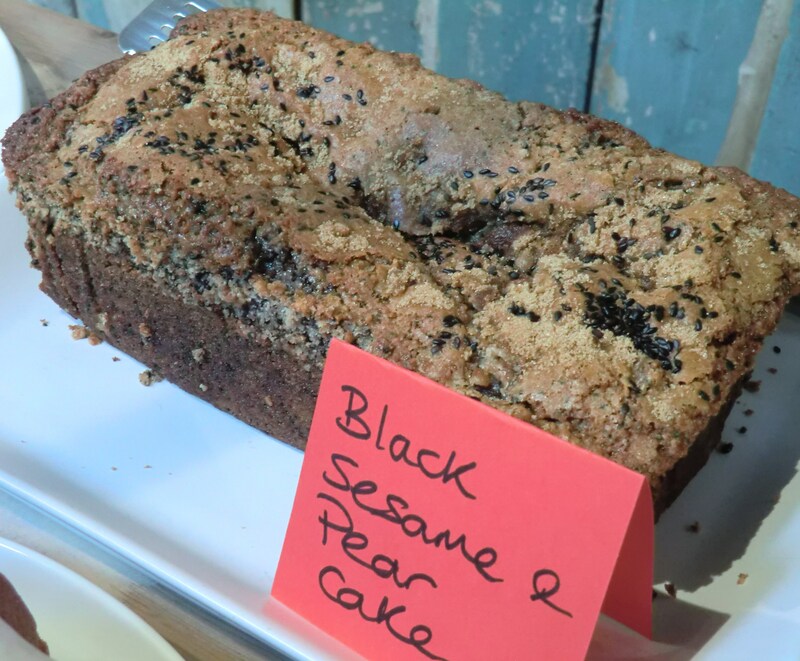 Having started up a new business in the catering trade I am developing a range of baked goods and desserts that I hope my customers will enjoy. 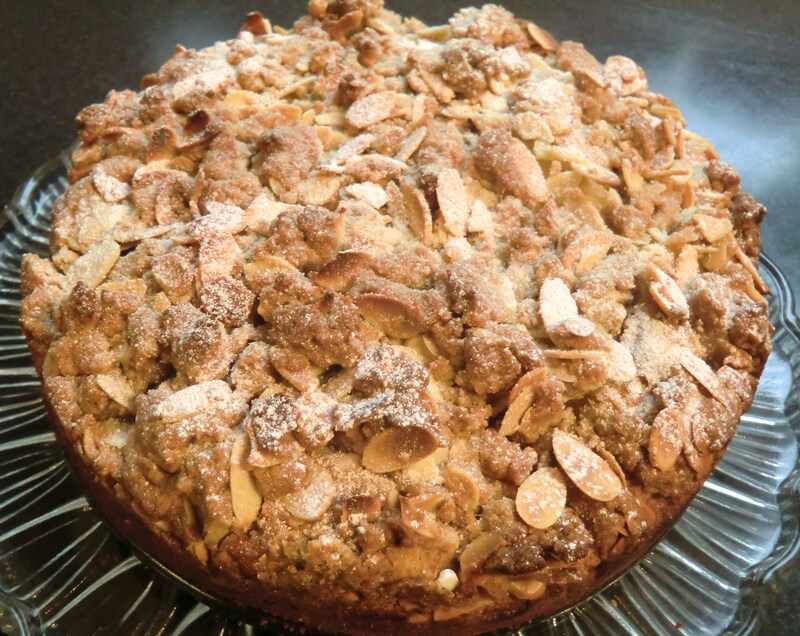 This recipe was inspired by the abundance of apples coming from my mother’s apple tree. She presented me with a bag of apples and asked me to bake an apple crumble. 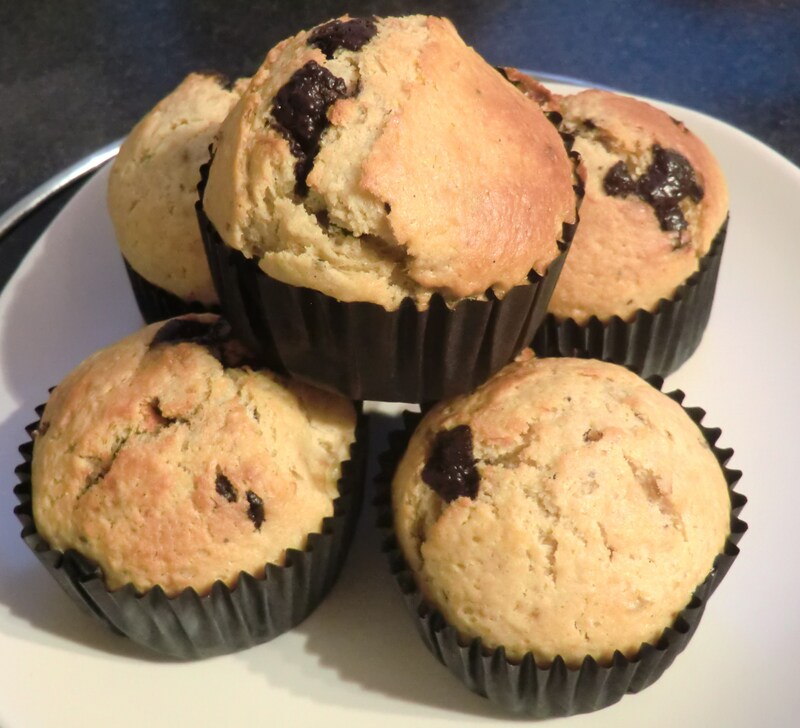 Then a few days later came another bag of apples so I did a bit of research and found a basic apple muffin recipe which I have adapted. These muffins come out light and fluffy with a nice contrast between the tart apples and the warmth of the spices. 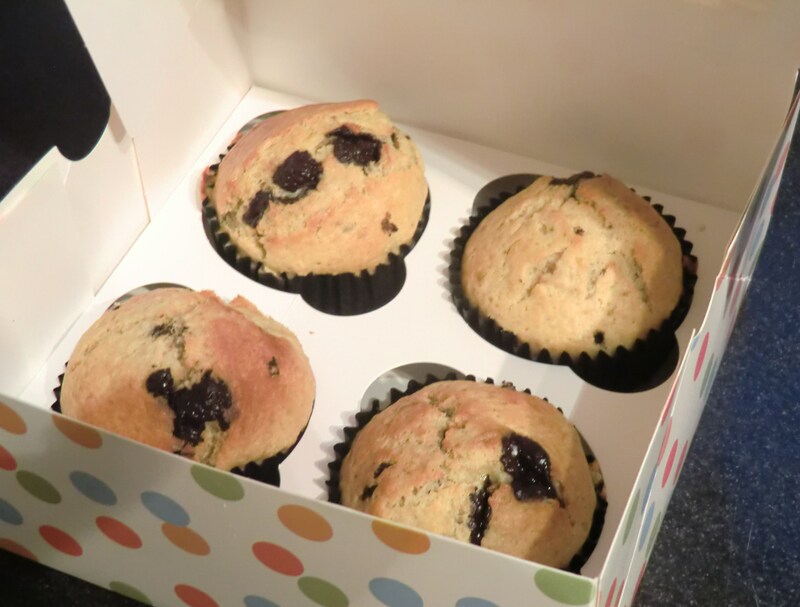 A good basic muffin recipe that can be adapted as the seasons change and new fruits become the star of the show! 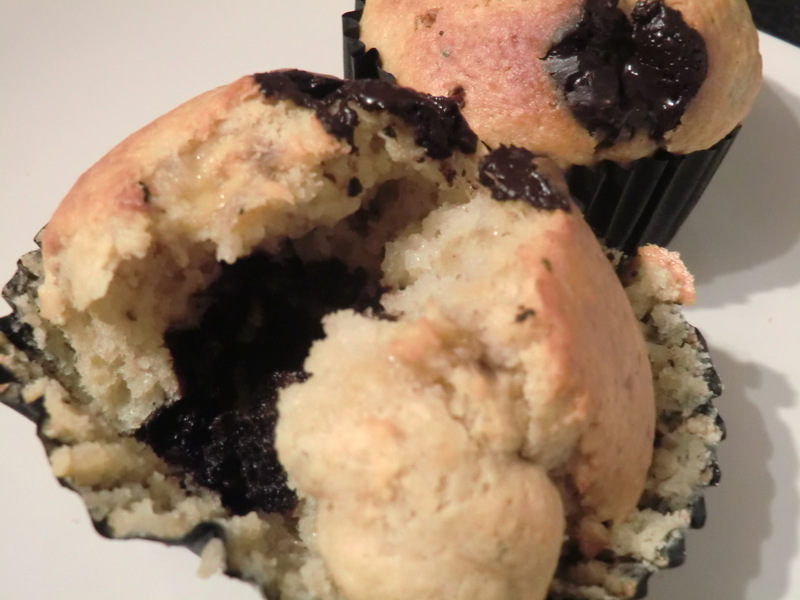 I started off adding cardamom to the muffins as it is my ‘go to’ spice for baking. 2 tsp of ground cinnamon, cardamom or whichever spice you choose! 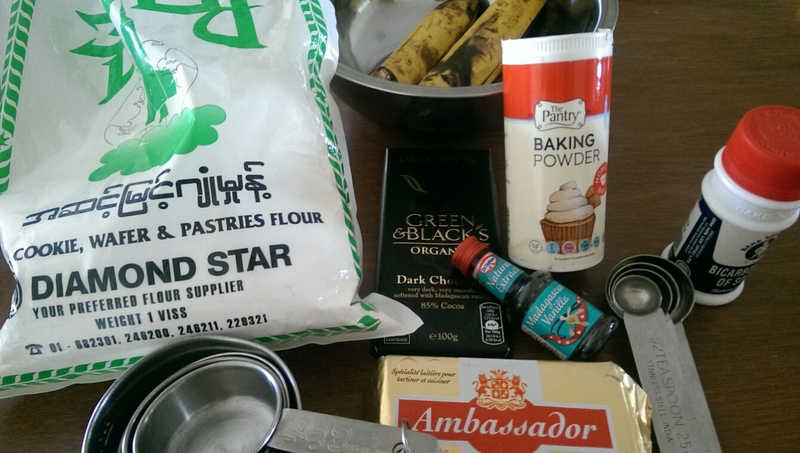 I’ve been in Yangon for a week now, and feeling settled enough to start baking cakes. (Inspired by the bunch of extremely ripe bananas bought from the market yesterday morning) As I couldn’t carry all my kitchen equipment with me, I decided to make do with measuring cups. I usually use scales to weigh ingredients but all those recipes that use cups must be working, otherwise who would carry on using them? Before I left the UK, I spent some time researching some basic recipes using few ingredients that I could play around with. I have access to a small electric oven that sits on a counter top. It’s temperature dial has faded away, so its a guess on how hot it is! I figured that most ovens go up to 250 degrees C so somewhere near the top would be fine! Cool on a rack and eat! 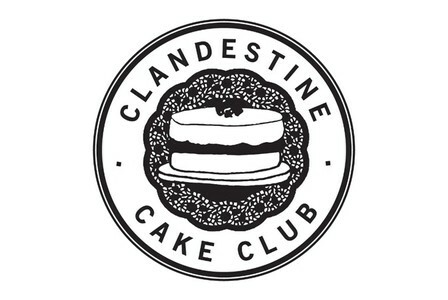 Clandestine Cake Club Yangon has arrived! The much anticipated CCC Yangon has arrived! I have just arrived in Yangon, Myanmar and would like to spread my love of cakes from the UK to my new home city. The CCC originated in the UK and is now a world wide craze! They take place around once a month and are open to all people, local and visitors. Take inspiration from Myanmar’s diversity of people! You may be from another country or have travelled further afield, take inspiration from your surroundings and the places you have been. 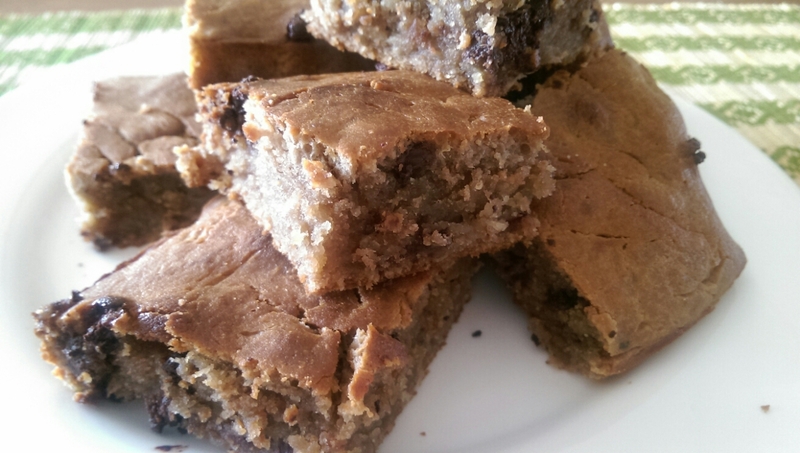 Maybe you can use locally sourced jaggery or fresh fruits grown in Myanmar? 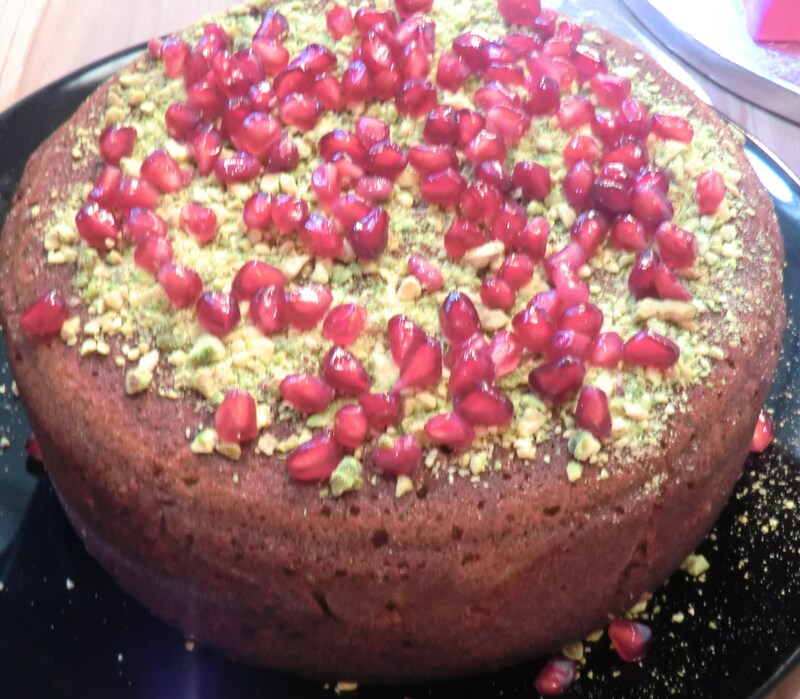 Take inspiration the Middle Eastern use of cardamom or recreate a British classic! Additional venue info: Refreshments will be available to purchase at the venue. As with all clubs there are rules and CCC is no exception. No Cupcakes, Muffins, Brownies, Pies or Tart. It’s all about Cake! 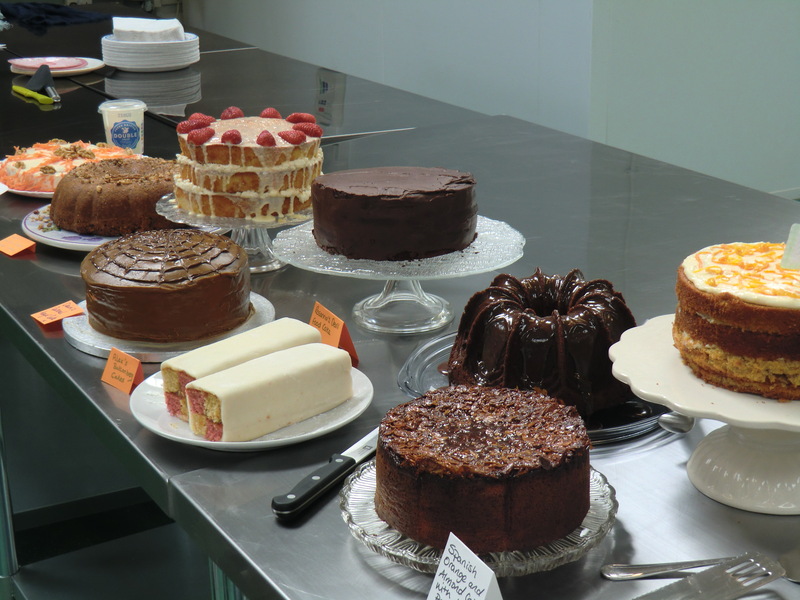 This event is open to all people, bakers can bring one guest who does not have to bake a cake. However spaces are limited so if this event proves very popular, a waiting list will be put in place. 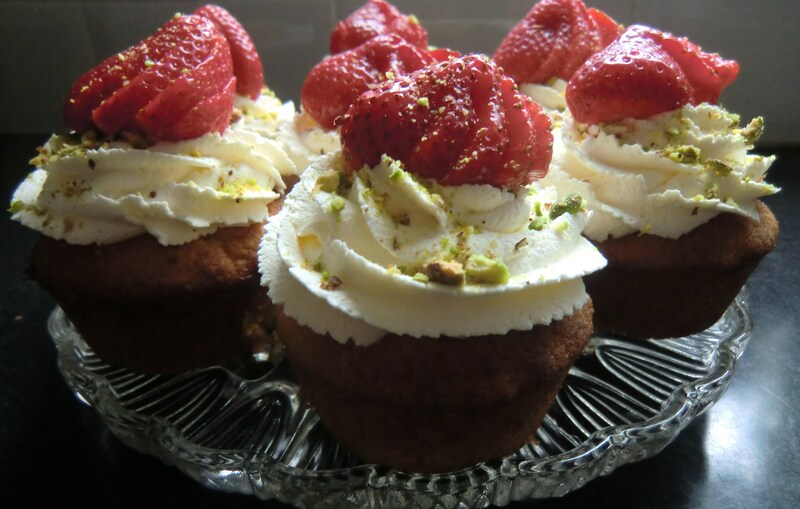 It’s not the first time I’ve made this recipe, in fact I made mini versions for a Christmas afternoon tea (not Christmas themed, but it took place on Boxing Day!). Despite making up the recipe as I went along at Christmas, the turned out quite well. This time, it wasn’t so! 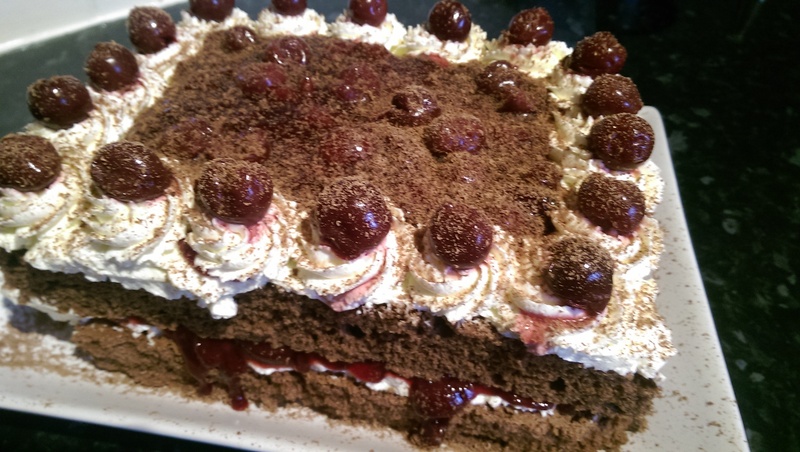 After a couple of attempts at the chocolate sponge, I ended up with something passable but not my best baking to date. What can I say? For me, baking under pressure does not result in a tasty cake! Butter a 20cm round cake tin and line the base. Preheat the oven to fan 140C/conventional 160C/ gas 3. Break 200g good quality dark chocolate in pieces into a medium, heavy-based pan. Cut 200g butter into pieces and tip in with the chocolate, then mix 1 tbsp instant coffee granules into 125ml cold water and pour into the pan. Warm through over a low heat just until everything is melted – don’t overheat. 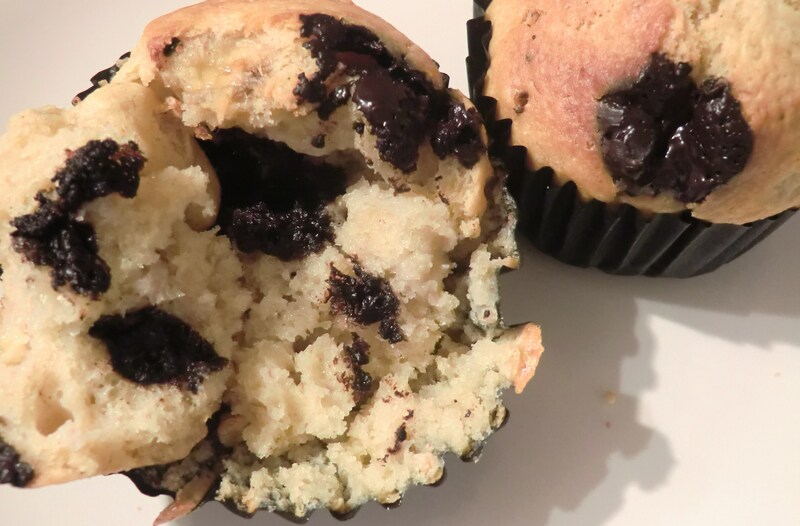 Pour the melted chocolate mixture and the egg mixture into the flour mixture, stirring just until everything is well blended and you have a smooth, quite runny consistency. Pour this into the tin and bake for 1 hour 25- 1 hour 30 minutes – if you push a skewer in the centre it should come out clean and the top should feel firm. Leave to cool in the tin, then turn out onto a wire rack to cool completely. While the cake is baking, warm through 3 tbs cherry jam in a saucepan and add the whole cherries. 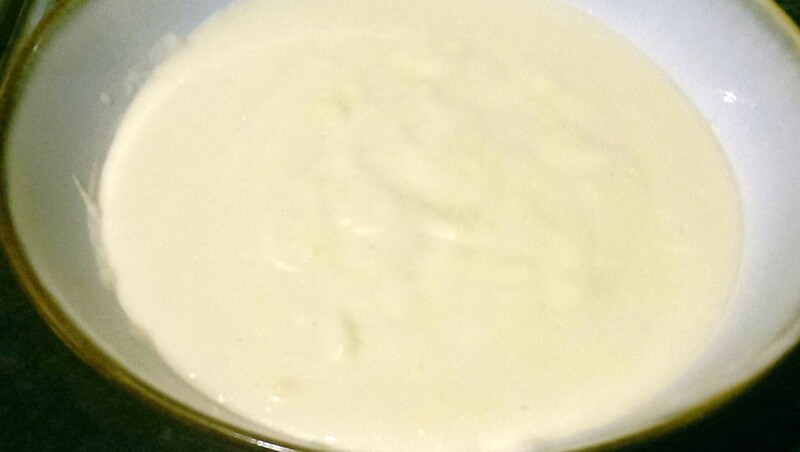 Stir in 1 tbs cornflour to help thicken the mixture, ensuring there are no lumps of flour remaining. Set aside to cool completely. 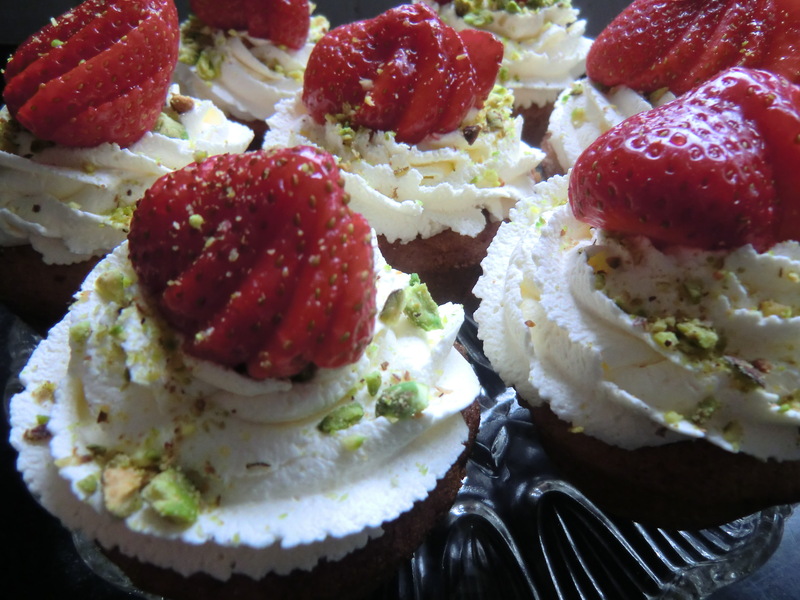 Whip the double cream with 1tbs icing sugar until soft peaks form. 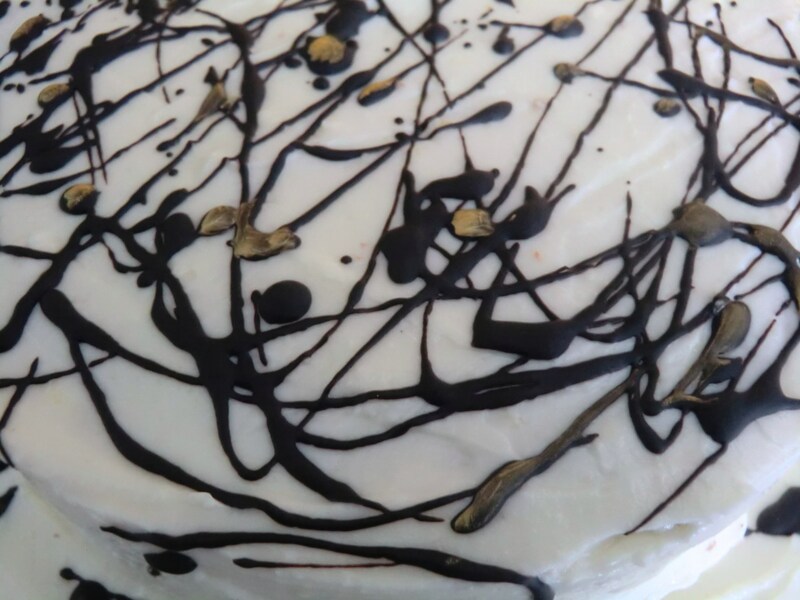 When the cake is cold, cut it horizontally into two or three layers depending on how much it has risen and how confident you are that it won’t fall apart! Top this layer with another layer of cake and repeat the previous step. 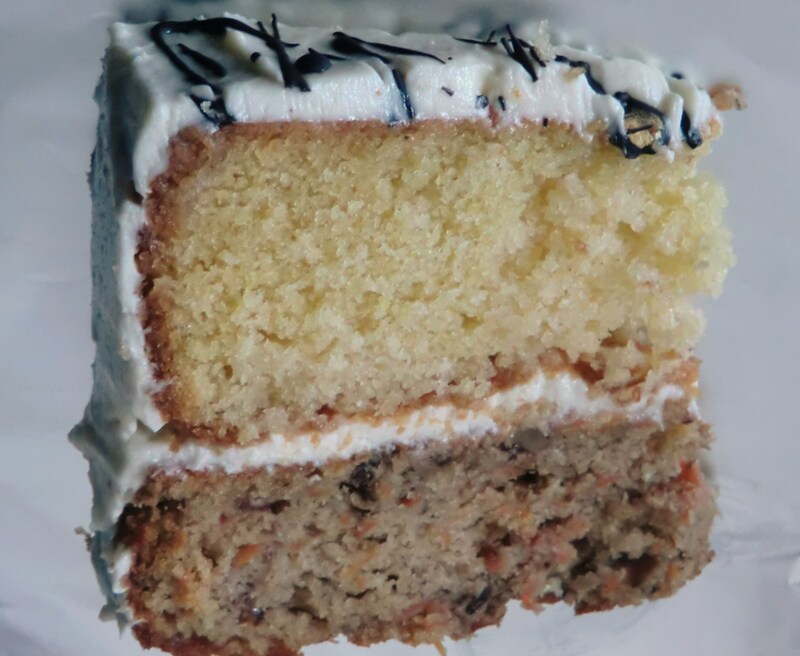 Do this again if you have a three layer cake, ensuring you have enough cream and cherry filling for each layer. 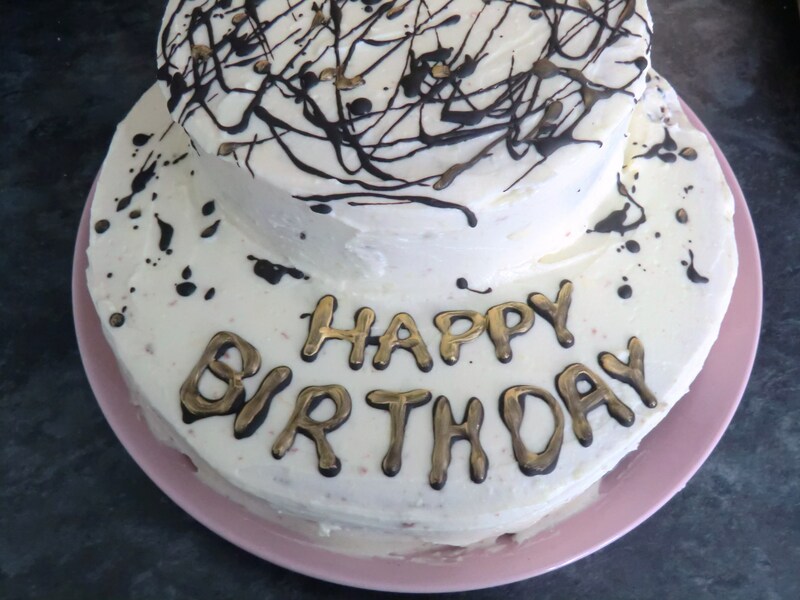 Decorate the top with piped cream and grated chocolate. 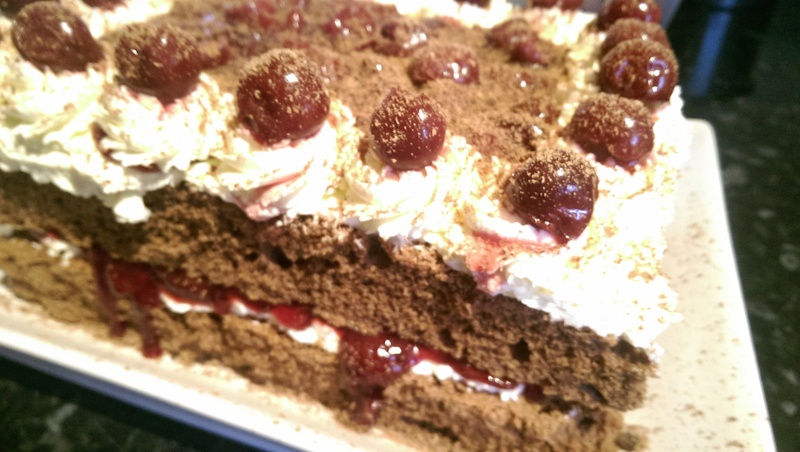 Decorate the cake with the saved cherries as you see fit. 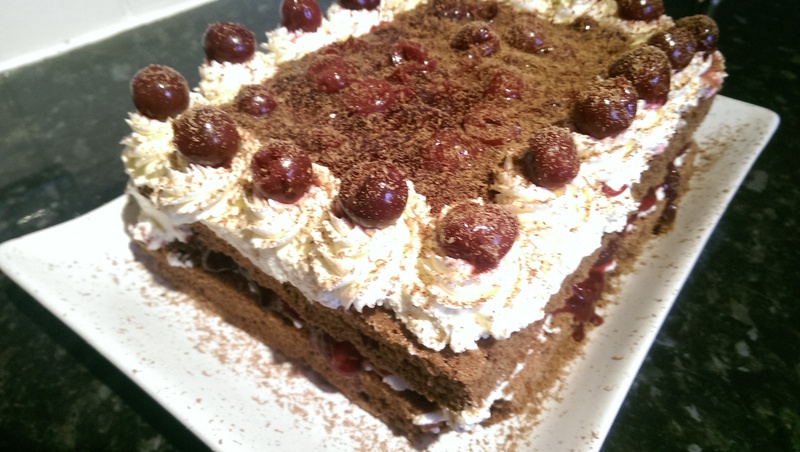 I took inspiration from Sara-Lee’s classic frozen Black-forest Gateau for mine! I’ve gone from hardly baking any cakes recently to two birthday cakes in one week! The first being a Chocolate and Caramel Cake (post to follow) and the second was this Coconut and Pineapple Cake. 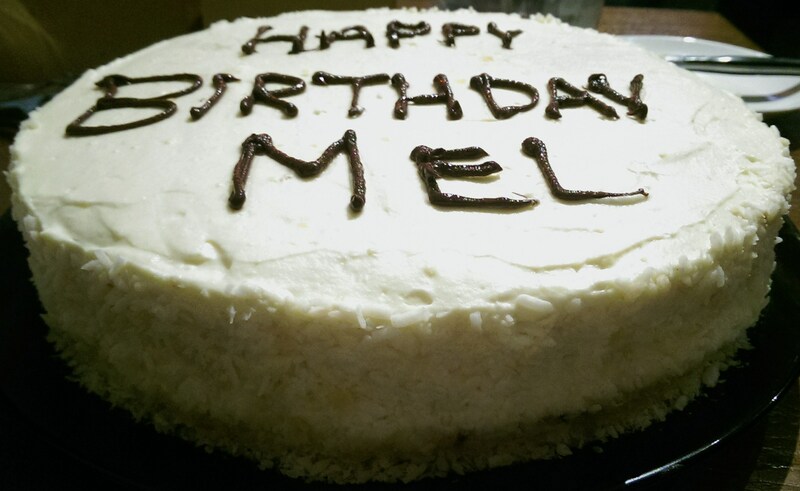 It is almost a year to the day that I last baked a Coconut Cake. I know this because the cake was made for my cousin’s birthday and this cake was made for her next birthday! What else do you bake a coconut addict than a Coconut Cake? 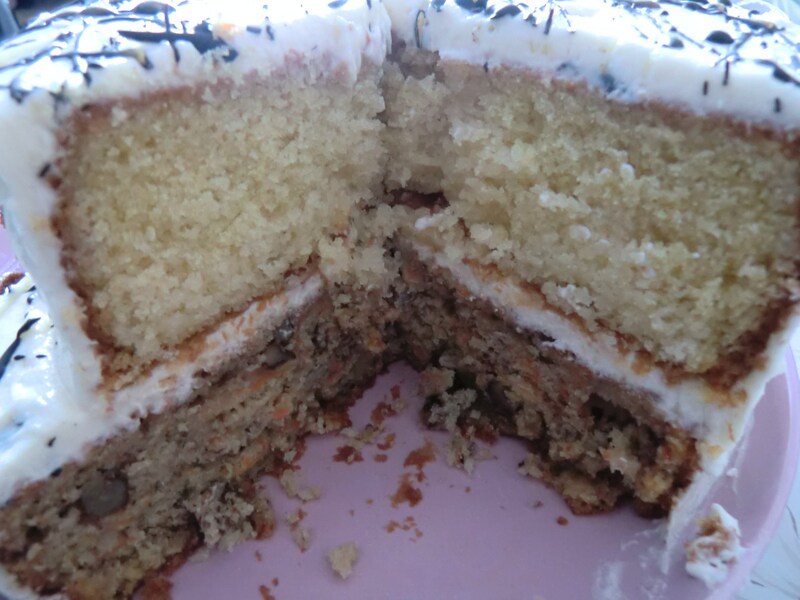 Cover the bottom layer with a layer of the coconut cream frosting, then add the pineapple filling on top. I only used half the pineapple filling in the end as I was worried it would be too much! 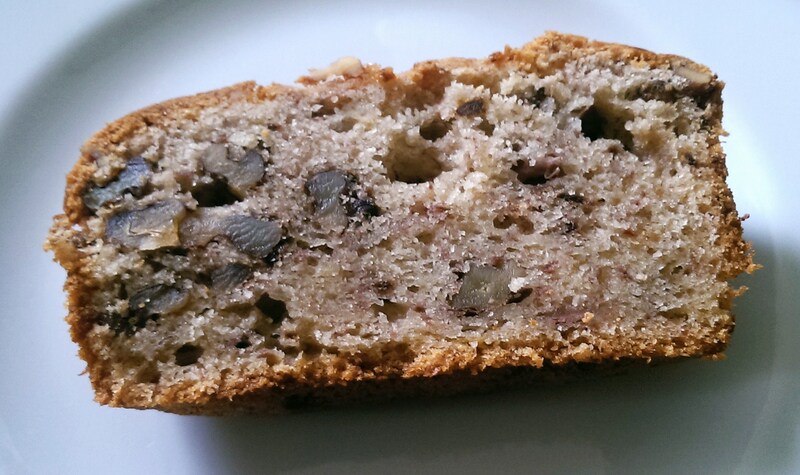 Banana Loaf: 3 varieties in one week! 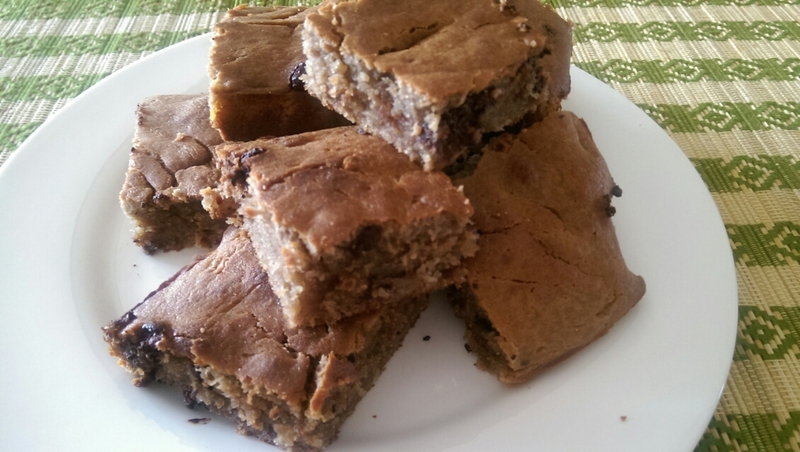 It’s been a busy week of banana loaf baking! 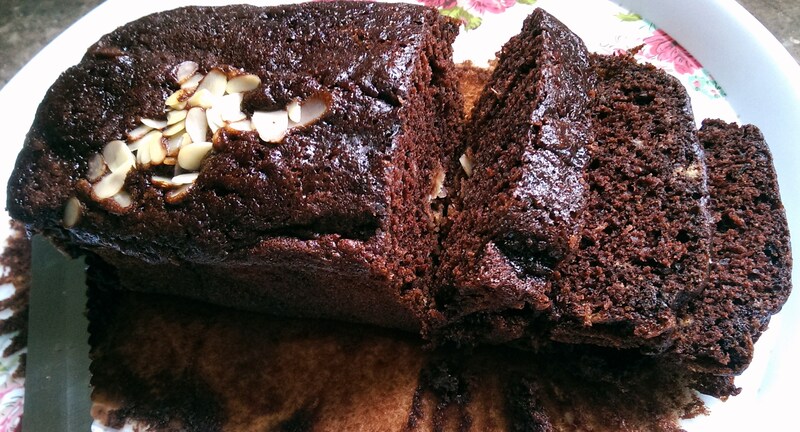 As with most households, the delicious banana loaf starts off with a couple of overripe banana… I didn’t have that many to make three cakes, so ended up buying bananas specifically! 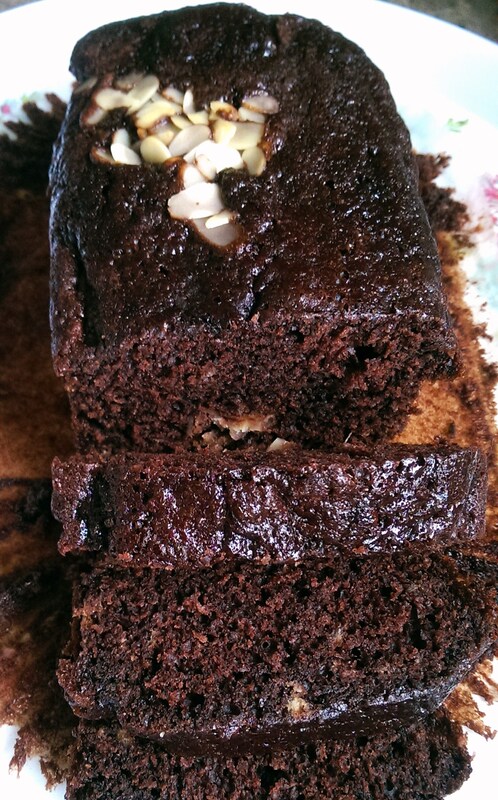 To start off with there is the Chocolate and Banana Loaf finished off with a sprinkle of flaked almonds. 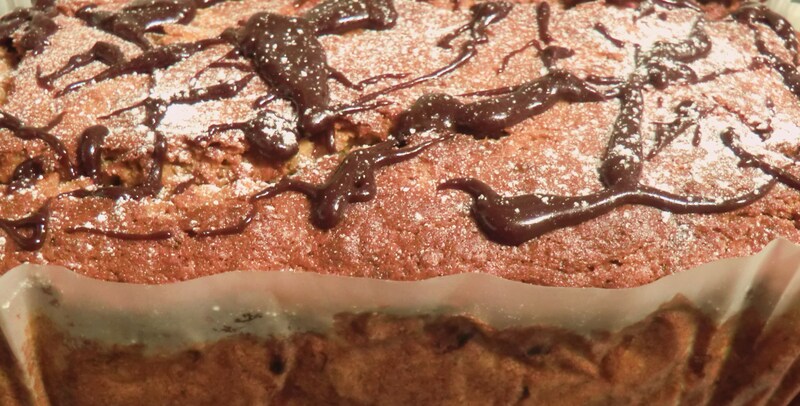 The recipe originates from the BBC Chocolate and Banana Cake but I didn’t have all the ingredients and simplified the method a little to make it quicker and easier to bake on a week night. Preheat oven to 160 degrees C, line and prepare a 2 lb loaf tin. Cream the butter and sugar together, add the milk and eggs then mix until well combined. 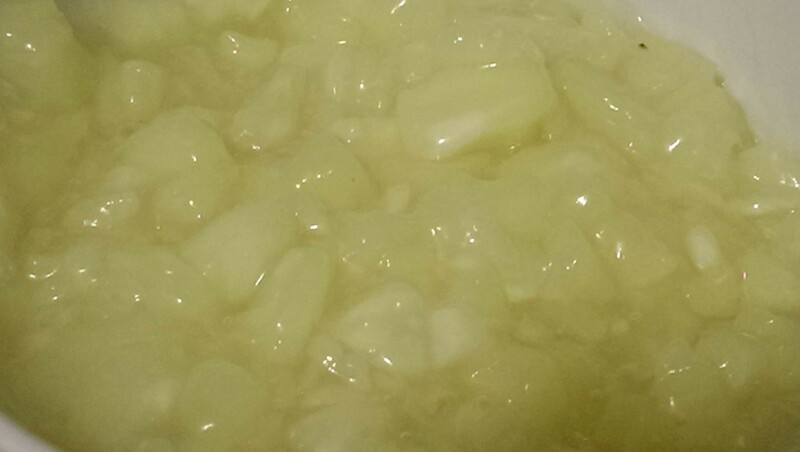 Mash the bananas and add to the butter mixture. 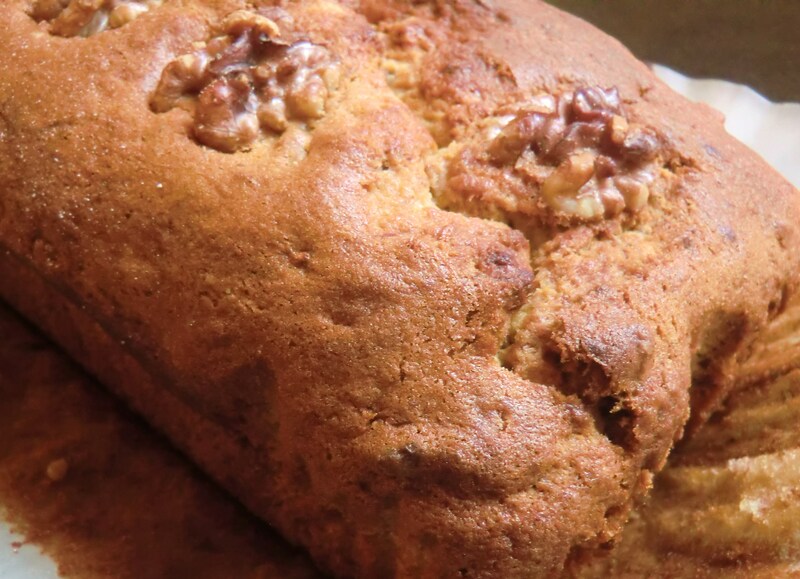 Fold the flour and baking powder into the wet ingredients then sprinkle over the walnuts. Pour into prepared loaf tin, level off the top and top with a few whole walnuts for decoration. Bake for up to 1 hour, checking after 45 minutes. And finally, there is the plain banana loaf baked for a charity bake sale. The British Red Cross have an incredible Fire and Emergency Support Service that desperately needs a new vehicle to respond to emergencies such as house fires. We held a bake sale in the office and I baked this banana cake and some chocolate and peanut butter cupcakes (recipe to follow!) to help with eh fundraising. Grease and line a 2lb loaf tin. Melt butter and sugar in a saucepan over a medium heat. Mix the flour and baking powder into a bowl, then add all the other ingredients (except the pears). Whisk together until evenly combined. Spoon the mixture into a prepared tin (I used a 18cm round tin, though the recipe advises for a 20cm tin. 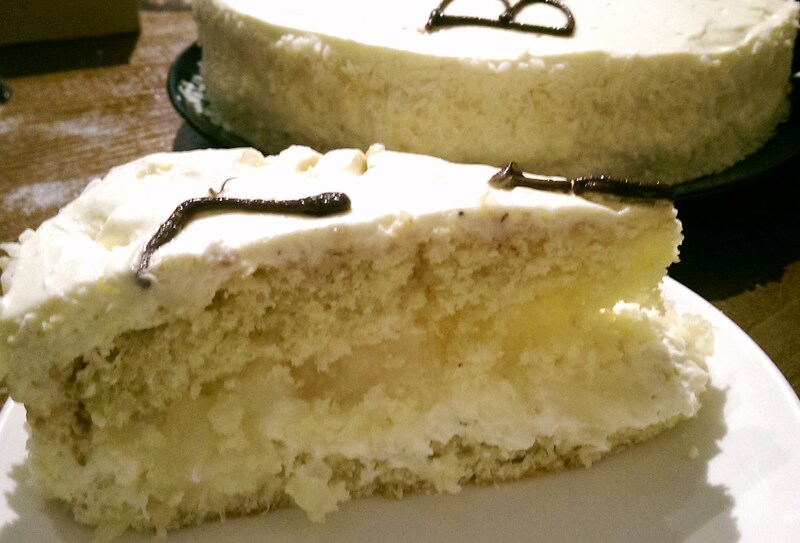 Arrange the pears in a circle on top of the cake batter. 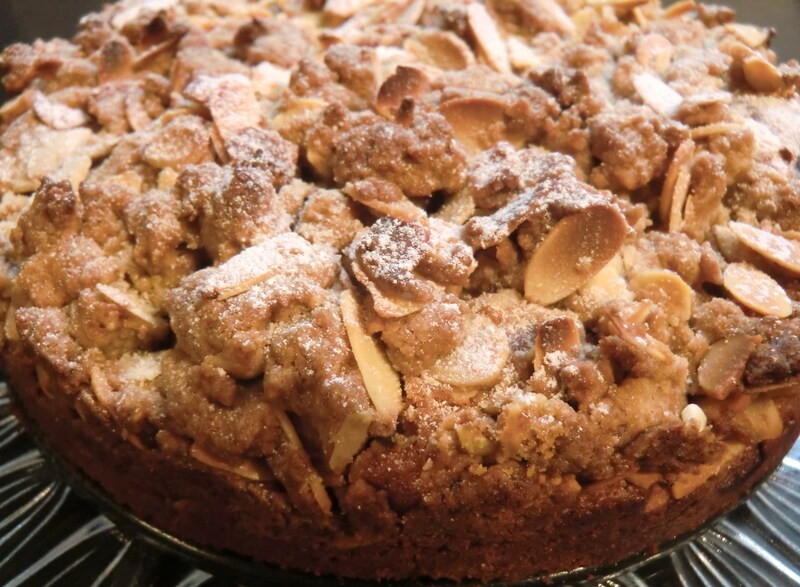 To make the topping, mix the flour and sugar in a bowl then add the melted butter and lightly crumble it with a fork. After stir in the nuts, sprinkle the mixture all over the pears and bake near the centre of the oven for 35- 45 minutes at 180 degrees C.
Just before serving, dust the surface with icing sugar. This cake is fairly easy to put together but it looks like you spent a lot more time on it! There isn’t a lot of cake batter so I would check the cake after 30 minutes of baking to ensure it doesn’t overcook. 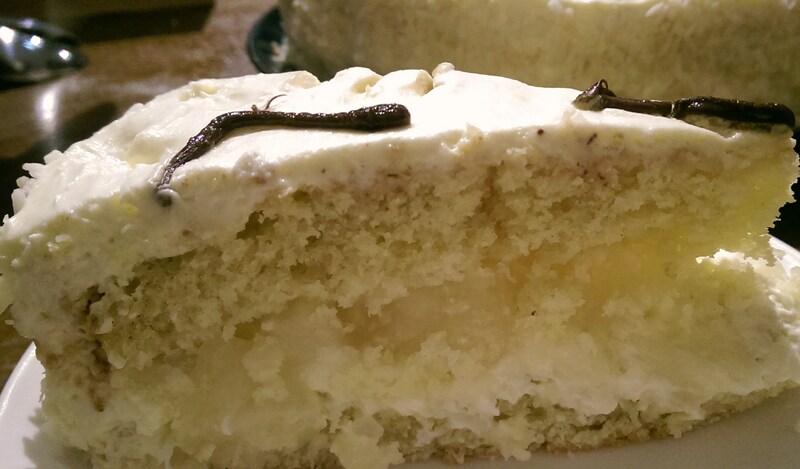 The cake itself is quite dense but the moisture of the pears helps to lighten it up. 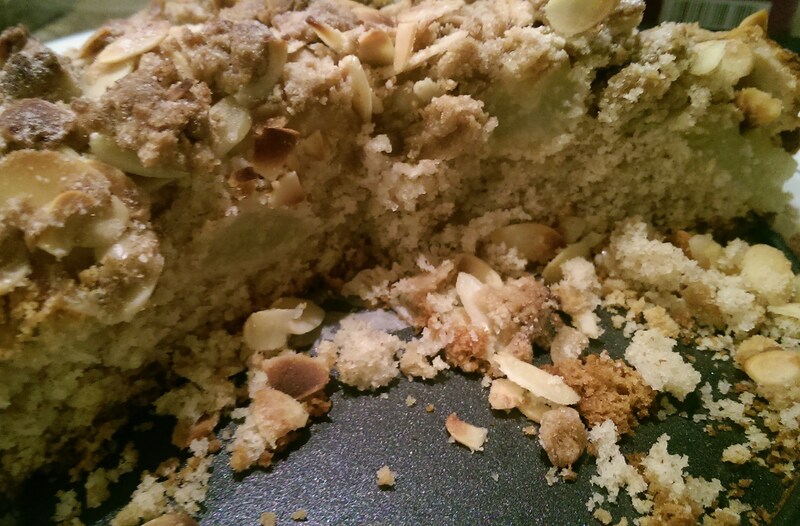 The crumbly almond topping gives a nice contrast too. 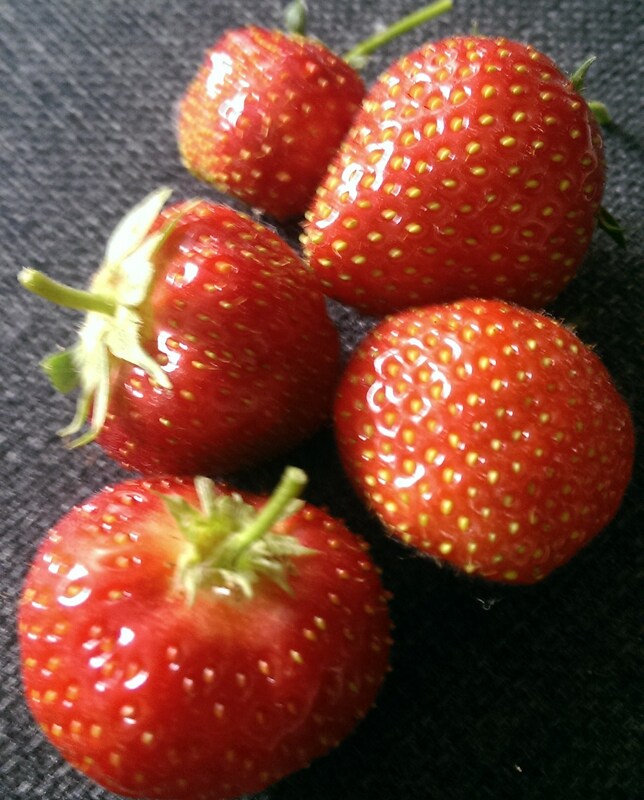 During the British summer there is an abundance of strawberries, the season is relatively short but they are oh so delicious! 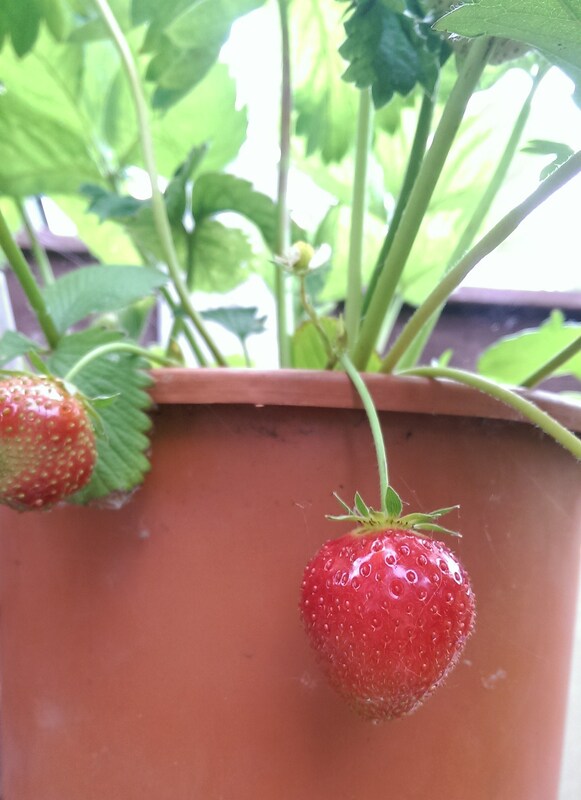 I tried to grow a couple of strawberry plants in pots this year but there wasn’t much of a harvest…though what we did get was delicious! Strawberries and cream… the quintessential British summer treat! 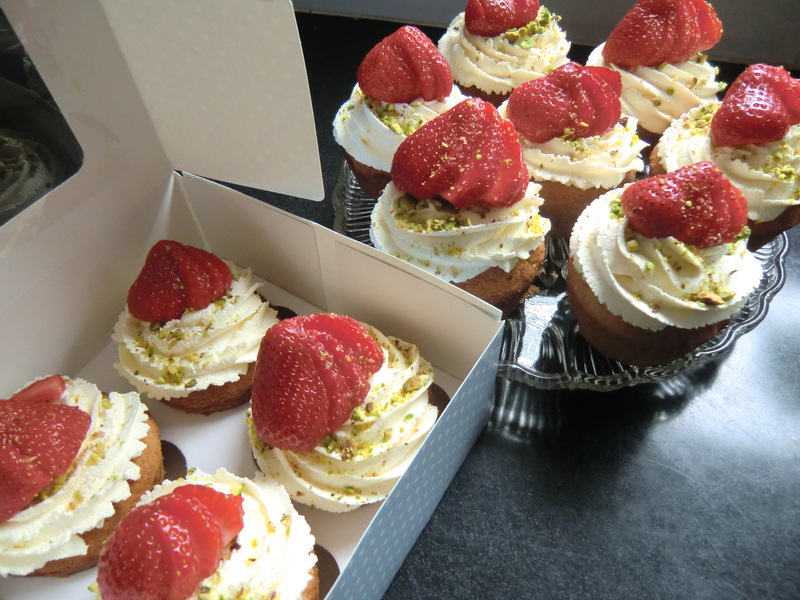 These Cardamom Cupcakes with Fresh Cream, Strawberries and Pistachios were a real pleasure to eat! I decided at the last minute to add the cardamom as an afterthought, I have a tendency to add cardamom to any cake recipe I get away with! for both layers of the cake I used Mary Berry recipes from her book ‘Mary Berry’s Baking Bible’. 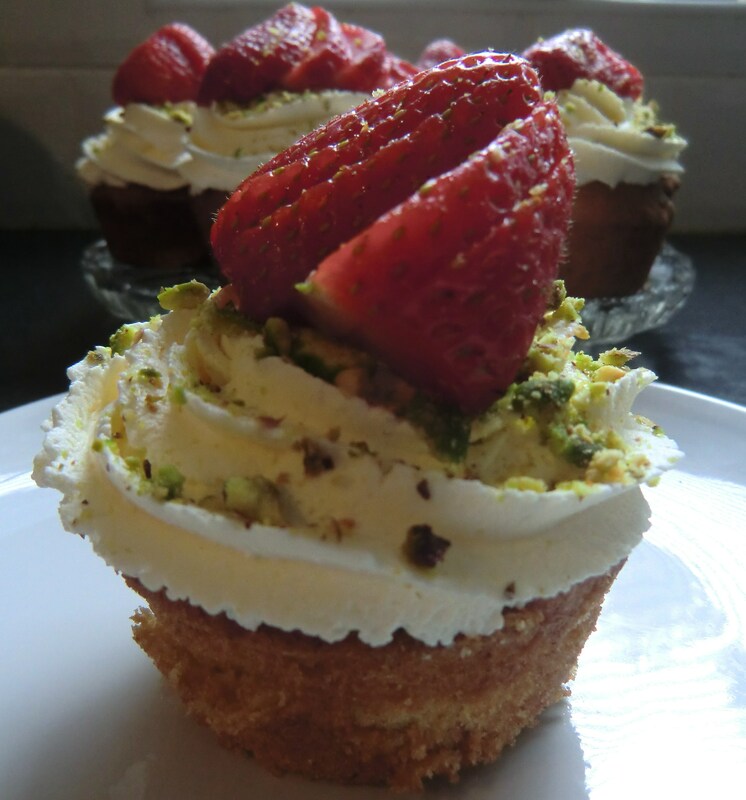 I previously posted a post using the carrot cake recipe that I had used to make cupcakes and the lemon drizzle cake recipe is a firm favourite of mine. As the cake tin for the lemon cake was only 18cm, I used half amount of ingredients stated in the recipe. The cream cheese frosting worked very well with both cakes and the bitter dark chocolate drizzle on top was added a tiny contrast to counteract all that sugar!